One of my favorite perks of participating in a Freezer Meal Swap has been getting me out of a recipe rut. If you are a fan of Chipotle, but on a budget, this hits the spot! Everyone in my house asks for second, and thirds, of this recipe. It also makes your house smell AMAZING! Trim fat from chicken. Cut breasts into halves, so that you have 4 pieces of chicken in each bag. 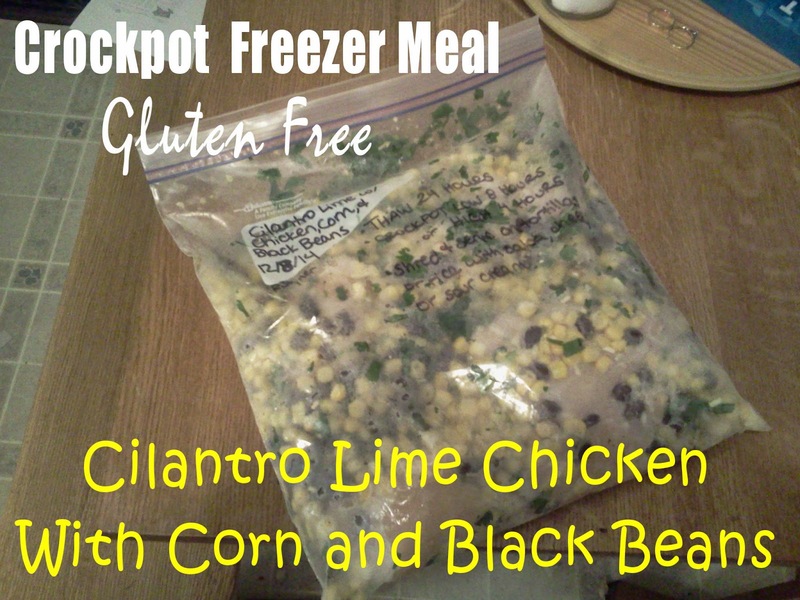 Place all ingredients in a resealable gallon-sized freezer bag. Mix together and zip bag closed. Freeze for up to 3 months. When ready to eat, remove from freezer and thaw in fridge for 24 hours. Thawing is best, but if cooking from frozen, run bag under hot water to break up pieces. Cook in Crockpot on LOW for 8 hours (or HIGH for 4 hours). To serve: Shred Chicken with fork and serve with hot tortillas corn tortillas for gluten free) or on top of rice. Serve with toppings such as with sour cream, guacamole, salsa, and cheese. can also be served on top of lettuce as salad. TIP: Pair it with Cilantro Lime Rice, and you will feel like you are at Chipotle! Added plus, this is one of those recipe that also taste great as leftovers. I adapted this recipe from Over The Big Moon to fit out family tastes.